Yeah, The Mac OSX is falling down from the stairs into a downwards spiral Since Mountain Lion (10.8) which was the best OSX ever. The games thrived into that OSX and the only thing that would need to change and updated would be graphics drivers. However with the latest OSX versions, stuff (games) got functioning worse or even not at all anymore. Now with El Capitan it gets even worse… wrappers won’t function anymore at all!!! It was the same issue with 10.7.5/10.8.2 where luckily quite fast was a fix available, but took me over a year to update all the wrappers again. Luckily now with the Portingkit we can make changes applying to all the wrappers which are added on the Portingkit server in one time. So if there is a fix available we can implant it in one action. For the games not added to Portingkit, that’s bad news, because they need the fix applied manually. The Wineskin developer is informed about the issue and will try to fix it as soon as he can. We keep you guys posted. So if you like to play your favorite games, wait with install OSX 10.11 El Capitan! On September 28, 2015 / News / Comments Off on Important note! Hi Guys! Here an important note. Maybe it sounds wierd but I have the feeling to do so. As many maybe already know, we live in biblical end times. The world is getting sicker every day, and good people are getting less and less. People are very selfish nowadays and God is more and more forgotten. But this time is foretold in the Bible and we are really living in the end of the days. And some terrible stuff will happen very soon as well. WW3, asteroids, deceptions, financial collapse, massive earthquakes and so on. In those times it is good to reflect on ourselves. How is our life? Are we still doing good? How is our relation to eachother and with God? And I want to be an example in this and want to ask forgiveness to anyone who played games on paulthetall.com and because of it neglected time with God. So please forgive me, and please don’t let gaming get between you and God or that it suffers from the relation with you and God. Relationship with God is the most important thing, especially now. System Shock Enhanced Edition for Mac! On September 27, 2015 / Game Port, GOG.com Games, Mac Action Games, Portingkit / Comments Off on System Shock Enhanced Edition for Mac! On request here is System Shock Emhanced Edition! You’re a renowned hacker, the most notorious cyberspace thief in the corporate world. Caught during a risky break-in, you become indentured to Diego, a greedy Trioptium exec who bankrolls a rare cyberjack implant operation. After six months in a healing coma, you awaken to the twisted aftermath of a terrible disaster. Where are the surgeons? Why is the station in such disrepair? Dropsy: Warm Damp Hug released for Mac! On September 11, 2015 / GOG.com Games, Mac Adventure Games, Native Mac Games / Comments Off on Dropsy: Warm Damp Hug released for Mac! Dropsy is a non-traditional take on the classic point and click adventure formula starring the game’s perpetually carefree namesake clown as he explores a richly detailed world full of colorful characters and sinister secrets, doling out hugs along the way. Rather than lead players on a singular narrative path, players are free to determine which avenues of adventure they want to explore in an open world setting and can piece the puzzles and story together however they choose. GTA and GTA 2 added to Portingkit! On September 4, 2015 / Free Mac Games, Game Port, Portingkit / Comments Off on GTA and GTA 2 added to Portingkit! We have a new WSI creator aboard: 112Madgamer! He added GTA and GTA 2 into the Portingkit. Both games are automatic download and install into portingkit. So sit back and let the Portingkit do all the work. Only make sure you run the GTA settings first in your local library before running the main game. Have fun!! Tomb Raider Legend added to Portingkit. On September 2, 2015 / Gamersgate Games, Mac Action Games, Portingkit / Comments Off on Tomb Raider Legend added to Portingkit. On request I updated and added Tomb Raider Legend to the Portingkit. Follow Lara down a path of discovery as she travels the globe to remote, exotic locales in search of one of history’s greatest artifacts that unleash unwelcome figures from Lara’s mysterious past. With guns blazing, Lara must use her athletic ability and intellectual wits to explore vast, treacherous tombs, riddled with challenging puzzles and deadly traps. Experience the beginning of the new Legend in the most adrenaline-fueled Tomb Raider adventure ever! Company of Heroes 2 released for Mac! On September 1, 2015 / Mac Strategy Games, Native Mac Games / Comments Off on Company of Heroes 2 released for Mac! Awesome news! 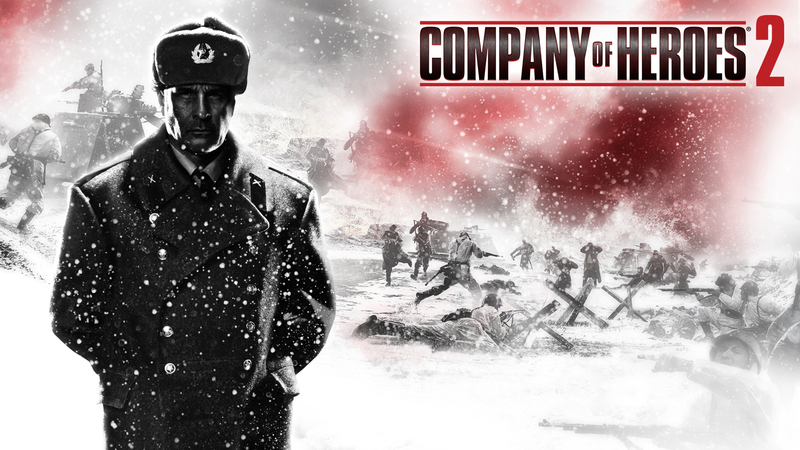 Company of Heroes 2 is released for Mac and Linux! Direct your troops through fast-paced real-time battles in the brutal fight to turn the tide of World War II. From the desperate defence of Stalingrad to victory in Berlin, you must defeat a tenacious enemy and the deadly cold of the Russian winter.